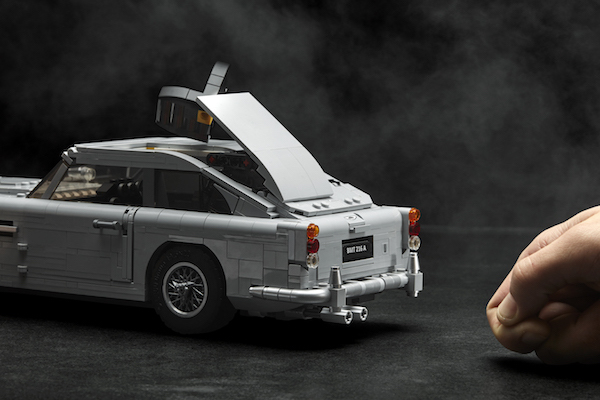 The Danish toymaker announced Wednesday that it will release a licensed Aston Martin DB5 set, complete with the hidden gadgets and weaponry that graced the car in the classic spy thriller Goldfinger. 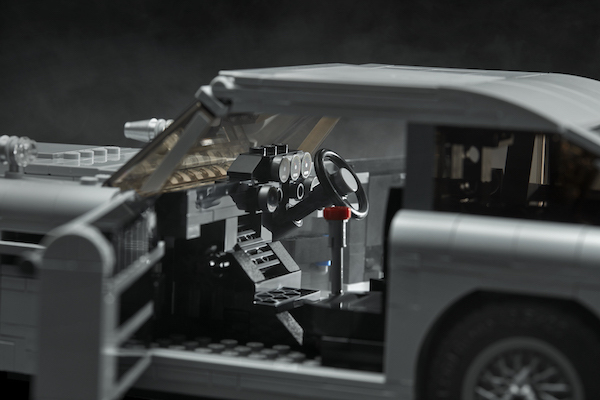 Under the hood lives a scaled-down likeness of the real car's 4.0-liter, dual overhead cam inline-six engine, and the car phone decorates the model's interior where the hideaway tracking screen that James Bond used to follow Tilly Masterson through Switzerland can be seen. 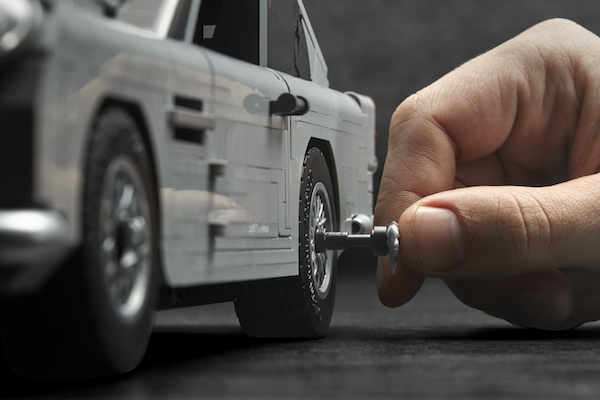 Other gadgets can be actuated by the builder's finger, such as the rotating license plates, extending tire-shredding talons, pop-up bulletproof screen behind the rear window, and with a flick of the gear shifter, expose the fender-mounted front machine guns. Best of all is the feature activated by tugging on the rear bumper, which will demonstrate that the ejector seat is indeed no joke. Particularly astute Lego fans may be interested by four pieces that are cast in new colors. 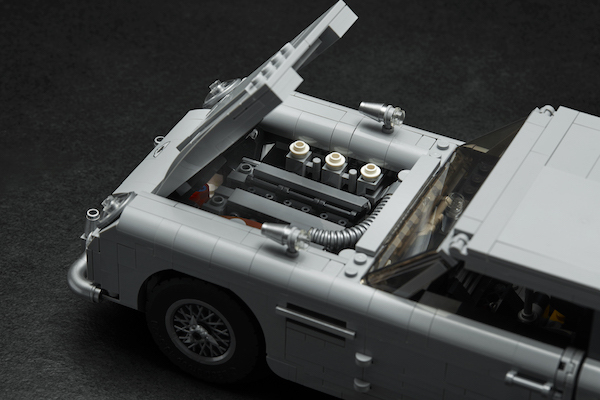 The completed DB5 model comes in at over 3 inches tall, 4 inches wide, and 13 inches long, and is constructed from 1,290 pieces. It will arrive for sale online and in Lego brand stores Aug. 1, and will retail in the United States for $149.99. It arrives on the same date as the significantly larger Bugatti Chiron set, which will sell for $350 and is comprised of 3,599 pieces in total. A better piece-per-dollar ratio, sure, but no ejector seat. Boohoo. Those eager to see (and maybe handle) the set in person before launch can do so at San Diego Comic Con, where visitors to the Lego booth in Hall D, number 2829, can be briefed by the Q Branch of Lego. They never joke about their work.